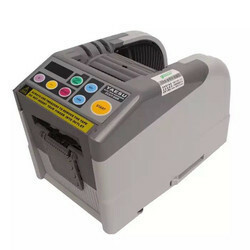 Having a definite quality administration system, we are providing a comprehensive assortment of ZCUT-870 Automatic Tape Dispenser to our customers. Valued for their perfect finish, sturdy built and longer life, these are hugely commended. Along with this, the offered range is designed by hard-working engineers, who ensure to comply it with the industry laid standards and norms. The offered product is highly praised by our clients all over the country. Also the patrons can avail these at affordable rates from us within the assured time. 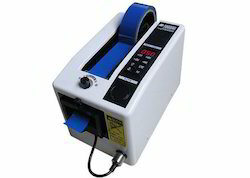 We are the leading organization offering M-1000 Automatic Tape Dispenser. Composed of high quality raw materials, our range of product is manufactured using ultramodern technology as per the industrial standards keeping in mind the client's requirements by using fine quality of machinery and raw supplies. Customers can avail these products from us in different dimensions and specifications. The product is offered by us at market leading prices.